The LocalTime class is similar to the other classes whose names are prefixed with Local, but deals in time only. This class is useful for representing a human-based time of day, such as movie times, or the opening and closing times of the local library. The java.time.LocalTime class is an immutable class which represents a time without time-zone information such as ‘28:28:38.111’. In this post, we will discuss the important APIs of LocalTime Class with examples. In order to understand better, let's categories methods into their usage and explained with examples. static LocalTime now() - Obtains the current time from the system clock in the default time-zone. static LocalTime now(Clock clock) - Obtains the current time from the specified clock. static LocalTime now(ZoneId zone) - Obtains the current time from the system clock in the specified time-zone. LocalTime plusHours(long hoursToAdd) - Returns a copy of this LocalTime with the specified number of hours added. LocalTime plusMinutes(long minutesToAdd) - Returns a copy of this LocalTime with the specified number of minutes added. LocalTime plusNanos(long nanosToAdd) - Returns a copy of this LocalTime with the specified number of nanoseconds added. LocalTime plusSeconds(long secondstoAdd) - Returns a copy of this LocalTime with the specified number of seconds added. 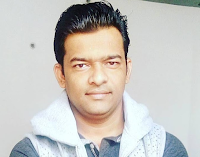 LocalTime minusHours(long hoursToSubtract) - Returns a copy of this LocalTime with the specified number of hours subtracted. LocalTime minusMinutes(long minutesToSubtract) - Returns a copy of this LocalTime with the specified number of minutes subtracted. LocalTime minusNanos(long nanosToSubtract) - Returns a copy of this LocalTime with the specified number of nanoseconds subtracted. LocalTime minusSeconds(long secondsToSubtract) - Returns a copy of this LocalTime with the specified number of seconds subtracted. int compareTo(LocalTime other) - Compares this time to another time. boolean isAfter(LocalTime other) - Checks if this time is after the specified time. boolean isBefore(LocalTime other) - Checks if this time is before the specified time. static LocalTime parse(CharSequence text) - Obtains an instance of LocalTime from a text string such as 10:15.
static LocalTime parse(CharSequence text, DateTimeFormatter formatter) - Obtains an instance of LocalTime from a text string using a specific formatter. String format(DateTimeFormatter formatter) - Formats this time using the specified formatter. Let's discuss above each method with examples. LocalTime class provides below APIs to a current time and specific time object respectively. * Program to demonstrate LocalTime Class APIs. LocalTime class provides below APIs to get Hour, Minute, Second from LocalTime. LocalTime class provides below APIs to add or subtract hours, minutes and seconds to LocalTime. LocalTime class provides below APIs to compare LocalTime objects in Java. LocalTime class provides below APIs to convert String to LocalTime in java. LocalTime class provides below API to convert LocalTime to String in java.